Being a music teacher is not only a great way to make money as a musician, it will also help you become a better musician. It’s rewarding, profitable, and can be really fun. If you’re a music teacher, there are a lot of different ways to use your passion for teaching and unique skillset to make a living. According to Careers in Music, music teachers make on average $47,000 a year. Teaching can range from music theory, to voice, to instruments, to production and sound, although you’ll probably be teaching some combination of those subjects. If you want to be a music teacher, decide what you want to teach, and what makes you feel the most passionate, then think about what sort of teaching makes you the happiest. Is it one-on-one mentorship or lessons, teaching online classes, or teaching large groups of people? If you like children and music, this is a great option for you. There are both part-time and full-time opportunities for primary school teachers depending on how much time you want to commit to teaching. You’ll need at least a bachelor’s degree to be a full-time teacher, ideally with a music or education major. If you haven’t majored in one of these categories, there are many online courses that can help you fill in the gaps to make you the best educator you can be. Becoming a student teacher is also a great way to get some experience in the music education field if you’re already in school for music education. Think of it as an internship for teachers. Each state will also have a distinct licensing process that will require you to pass some sort of exam, as well as submit yourself to a criminal background check. Perfect for: someone who loves children and can encourage their emotional development as well as their musical development. As children get older, their music teachers will need to have a better concept of music theory, basic instrument skills, and be able to write engaging lessons plans. You’ll often be responsible for one or two performances per year, so you’ll need to understand how to manage and direct a group of adolescents. In addition to all the educational requirements needed to be a primary school teacher, many middle school music teachers will be expected to have completed an education certification program, as well as having some sort of masters degree. Don’t let these requirements scare you! If you don’t have the correct educational background, reach out to a variety of schools around where you live and see if you can teach an after-school program or start working part-time. Perfect for: someone who wants to work with kids and who enjoys organizing large productions and performances. Music in high school is almost always an elective. This means that your students will be pretty skilled hobbyists at the very least. You’ll need a strong command of music theory, as well as solid teaching credentials. The specific credentials you’ll need are determined by the state. It’s not unheard of for people with a four-year degree to be teaching high school music, but you’ll probably need some sort of additional higher education to make sure you’re properly prepared. Perfect for: talented musicians and educators who want to help shape young musicians into talented amateur players. + Learn more on Soundfly: If you’re looking to brush up on your grasp of music theory, Soundfly has a bunch of free online courses that can help! Sign up for any of the following courses today: Building Blocks of Piano, Theory for Producers, and Music Theory for Beginner Pianists. While you’re still a music teacher, you’ll also be a college professor. This means you’ll most likely have to get a PhD after finishing your masters degree. You’ll need to find your speciality and really know what makes you feel passionate. Being a college professor is one of the most steady and profitable ways to make money being a music educator. Perfect for: people who love music, and also love research. There are tons of schools out there that specialize in music education. A lot of their business is from kids coming in after school, or other people looking to take music lessons. A lot of your lessons at a music school will be one-on-one, but it’s not unheard of to teach group classes. There’s a trade-off when working with a music school — they’ll help you get students, but they take a little money off the top. Working at a music school is a great option for people who want to teach private music lessons and are willing to trade some of their freedom for the stability of a steady paycheck. And since most music schools are private, the educational requirements are lower than that of primary, middle, or high schools and colleges. Perfect for: people who enjoy teaching music lessons and working with students one-on-one, but don’t want to go back to school to get certified. More and more people are looking to online education these days. If you’re someone who enjoys working from home and likes to correspond with people mainly over email, this is a great way to earn money. It’s very similar to working at a music school, except you’ll be teaching through your computer screen. Soundfly makes both free and paid online courses — learn more about everything we offer here, and reach out via email ([email protected]) if you’d like to get involved! As previously mentioned, if you’re already a music teacher, email us to find out more about our affiliate program. Perfect for: tech-savvy musicians who feel confident they can explain musical skills without being in the same room. This is one of the most common ways for musicians to supplement their income. Being your own boss, you can can choose the hours and clients that make sense for you. If you’re already pursuing another career in music, this is the perfect way to make some extra money on the side. Sites like takelessons.com can help get you started by matching you with students. You can also teach these lessons however you want. They can be in person or online. You can teach two lessons a day, five days a week, or teach them all on one day. It’s up to you! Perfect for: busy musicians with skills to share but a somewhat restrictive schedule. Many music teachers will simply put their lessons online on YouTube or Vimeo. While these don’t always make the most money, they will definitely increase your exposure. 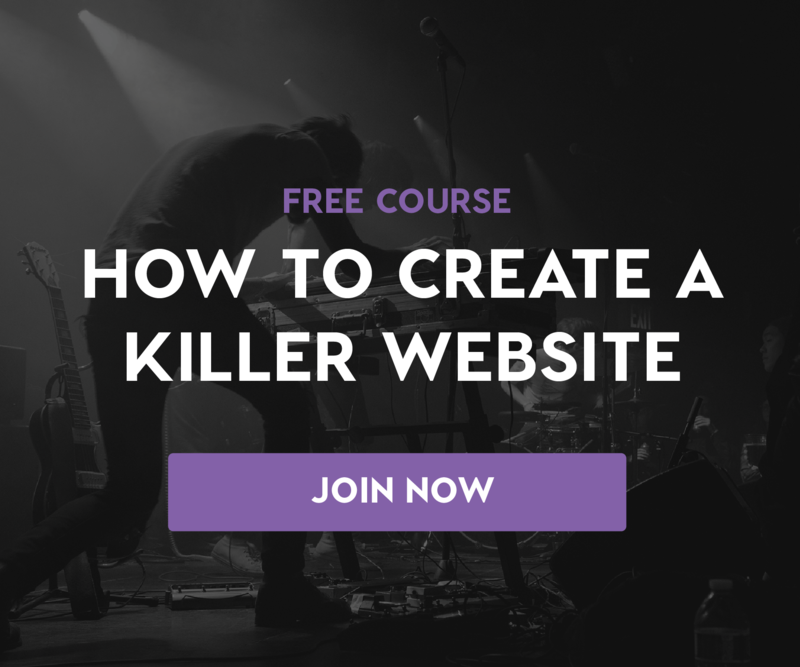 With a low barrier to entry (you just need to make a video) there’s little to lose by putting some lessons online. Perfect for: music teachers who want to grow their brand. 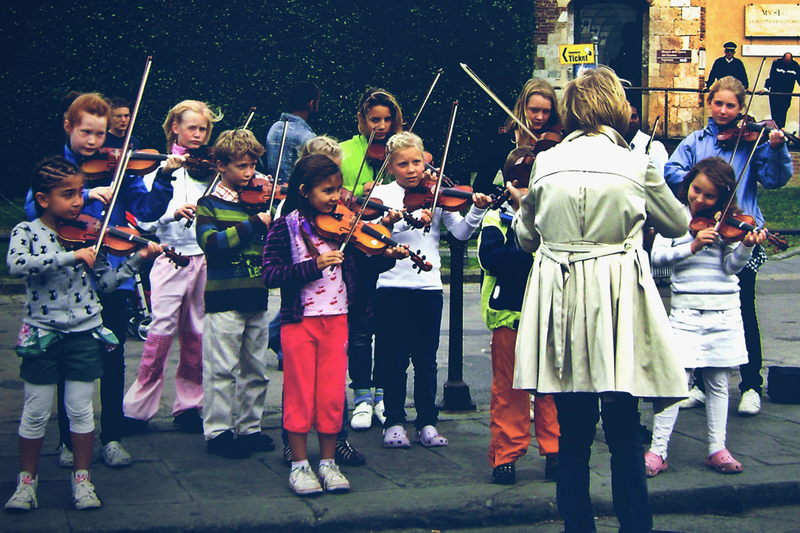 Teaching music is one of the most rewarding and profitable things to do as a musician. Whether it’s taking on a few weekly private students, or pursuing a PhD in music to become a college professor, I can’t recommend it enough. So get out there and start spreading your skills! Our community of Soundfly Mentors can help you set the right goals, pave the right path toward success, and stick to schedules and routines that you develop together. The Headliners Club is like having a personal trainer for your music, with a series of musical workouts, a whole lot of feedback and support, and the chance to accomplish something you’ll be proud of with a coach by your side.